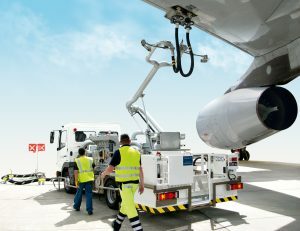 ‘Yellow Band‘ aircraft refuelling hoses comply with all relevant standards, including the latest ISO 1825 / API 1529 and meet worldwide military and civil usage. 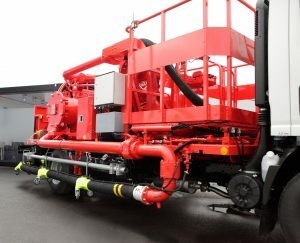 They are lightweight, highly flexible, also at low temperatures, very safe to operate and show a superior lifetime. Types HD-C, VHD-C, PHD-F or TW-E are suitable for all aviation gasolines, jet fuels and de-icing fluids. 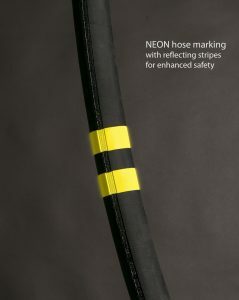 ELAFLEX also offers aviation hoses with NEON marking. The new reflecting stripes increase safety, especially in low light situations. 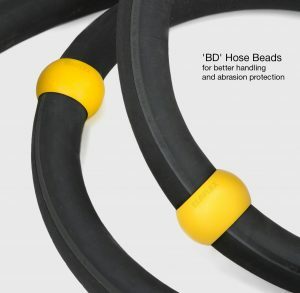 For long hose assemblies we have developed hose beads ‘BD‘ acc. 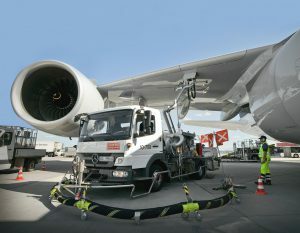 to the EI standard 1522 (in preparation) which notably improve the handling as they reduce friction against the tarmac. They additionally protect against hose abrasion. Type ‘BD’ can be easily assembled or disassembled and are suitable for reeling.